This is a perennial that grows on and on! 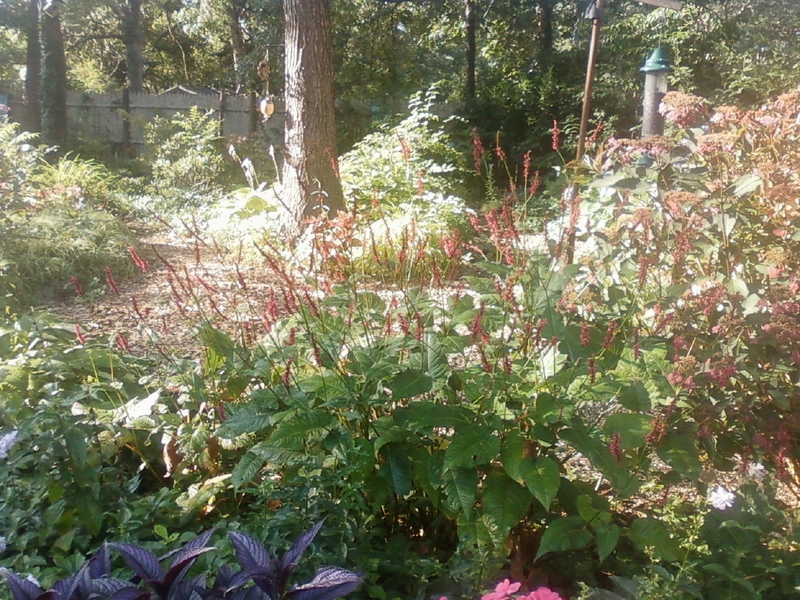 Persicaria ‘Firetail’ is a shade-tolerant perennial that I adore! Wispy spikes of dark pink, especially in a large clump such as this, are remarkable for many reasons. But especially because this beauty has been blooming for six weeks and is still fresh-looking. Plant it up close where you can see through it. 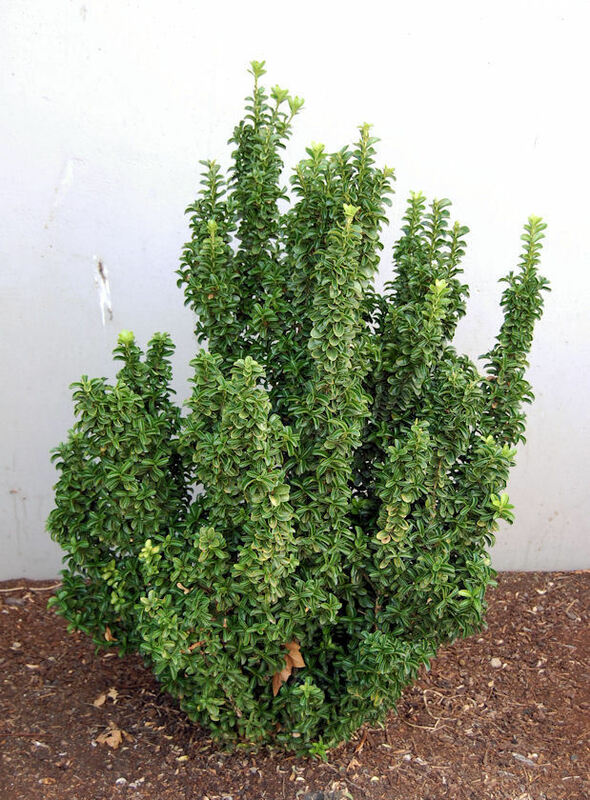 Seems to last longer when planted in mostly shade and when it is kept well-watered. Enjoy. Because You Can Grow That! Gardeners take chances–and I took a chance on this beauty. While shopping, if I happen upon something quite striking or unusual for the garden, I often buy it. I may not know where it will end up being planted. But I know that good plants don’t go unnoticed, so buy them when you can, right? So I scooped up the entire group, maybe 2 dozen plants, which costs quite a bit. But I then used them, mostly, in one client’s gardens–both at their home and at their place of business. And kept a few to try for myself. The ones in the ground didn’t look like they were performing that well. 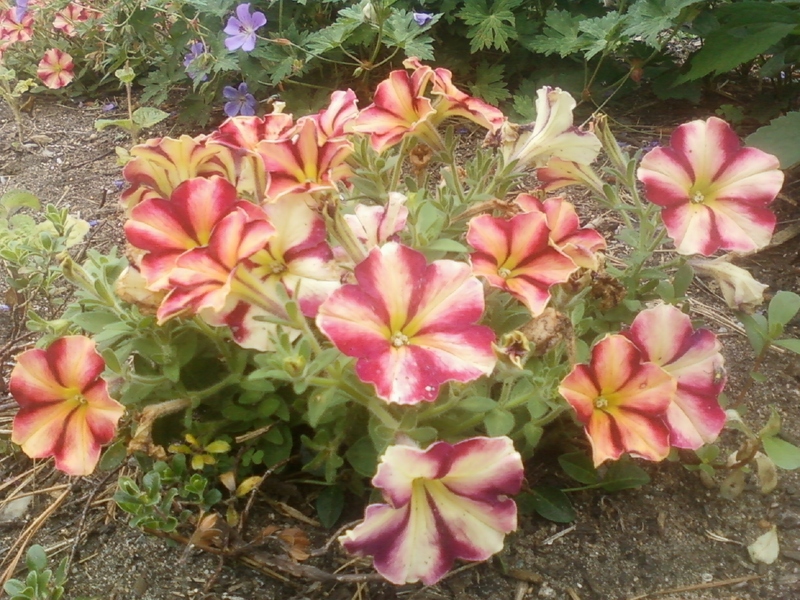 And being petunias, these were not labeled as “self-cleaning” and were looking pretty unsightly. But lo and behold, after settling in and given a chance, they were worth the chance. And even more attractive used in a pot. This is a Ball Flora Plant: Cha-ching Cherry. As I was moving around with this plant in hand—another customer said she had seen this newcomer in a floral magazine article. So–what do you think? Wasn’t this worth the chance? One chance at a time! Happy Fourth of July!! Even while getting caught in a downpour, there is beauty. 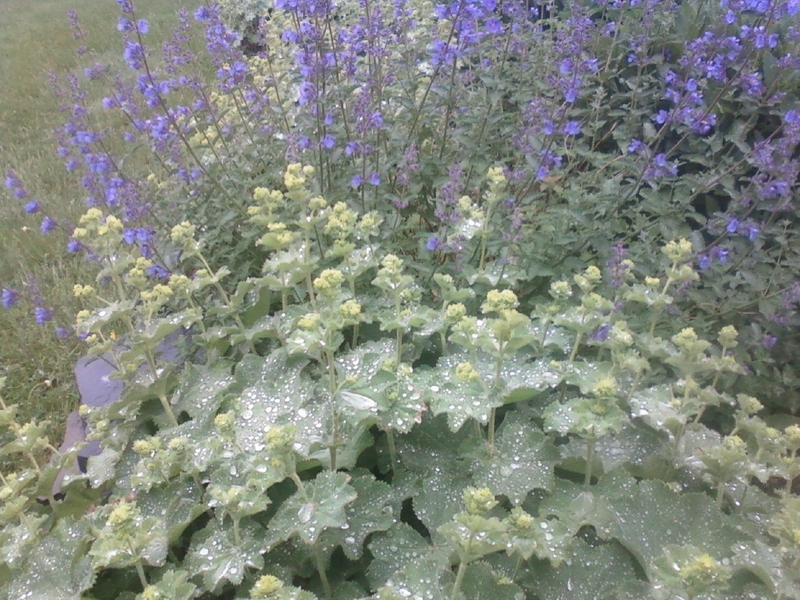 Raindrops on lovely Lady’s Mantle, coupled with a nepeta. And you can grow that, too!! I thought and thought. I had been intrigued by one plant at a nursery. And it surely was not going to be large quickly. Euonymus japonicus ‘Green Spire’. 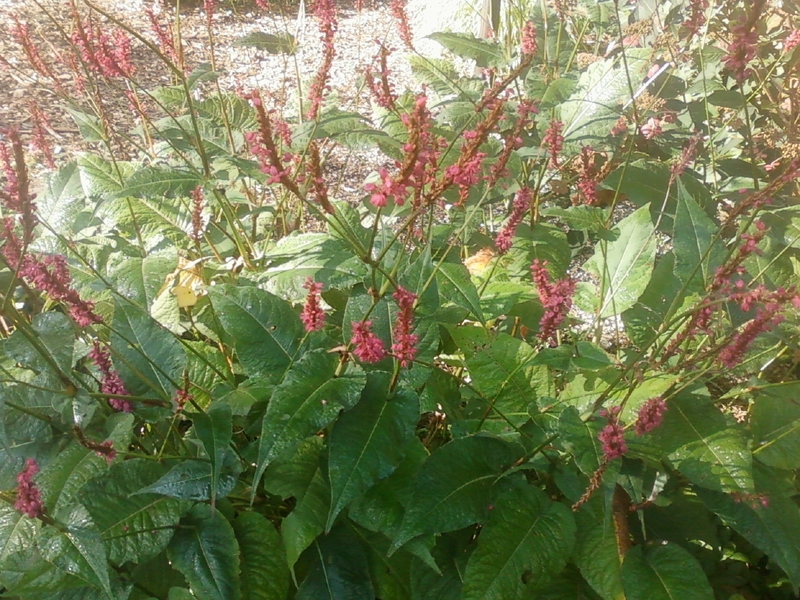 It had such structure and very dark green leaves. I then happened upon an entire hedge of them, left natural, not sheared, and I was even more impressed. So–I decided. I planted a grouping of three plants, one taller holly with two of my new pals on its side. They only stand 4 feet tall, but they are so impressive that though they do not–yet—perform quite as a screen—they catch my eye. And that is almost as useful. And in my mind’s eye, I see them mature, at six feet or so. You Can Grow That—–artistic landscaping with structural plants. And having an eye for the future! Wow–You can Grow That–learning about neat stuff! 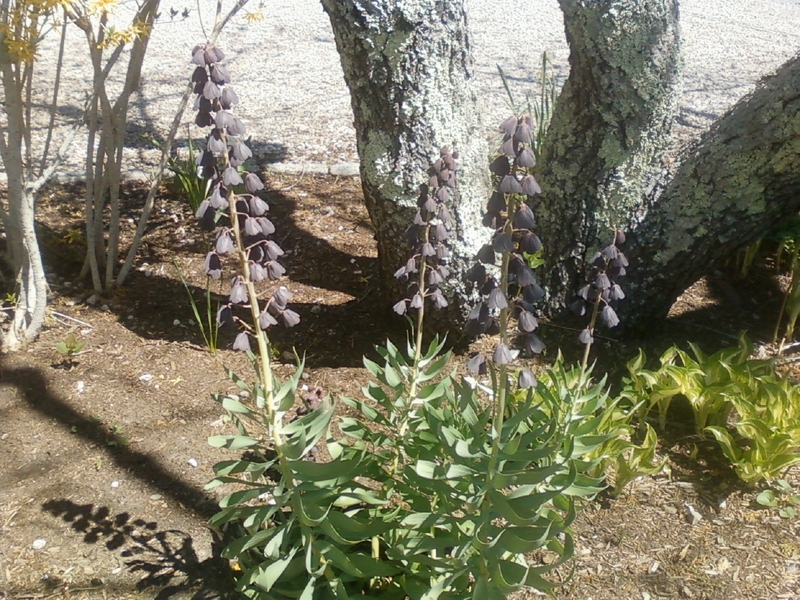 Grey foliage with nodding bells—almost dark maroon—-about 18 inches tall..
Here’s the point. They might not care too much. But I get a thrill when I run across plants like this. Then I go home and look things up and read and research—and it is all such neat stuff. I haven’t even figured out what this is yet! But I’ll tell you—You Can Grow That!–neat stuff. Try something new if only to entertain me. This charming sedum is a keeper! This charming sedum was planted last year—and not only survived our last winter but is flourishing. 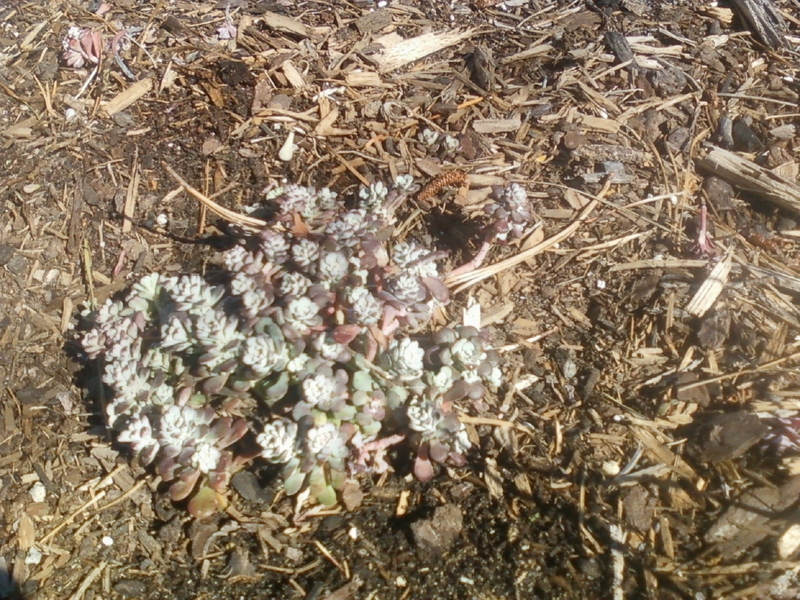 I managed to find the tag: Sedum ‘Cape Blanco’.